Nashville Bound is a Nashville-style Songwriters Showcase created by Toronto singer-songwriter Glen Hornblast, who has run this Songwriter Series since 2014, and showcased over 200 Canadian songwriters. Inspired by Glen’s many trips to Nashville, and his performance at the famous Bluebird Cafe, Glen wanted to create a Songwriter Series in Toronto that would give a proper stage for songwriters to showcase their songs. 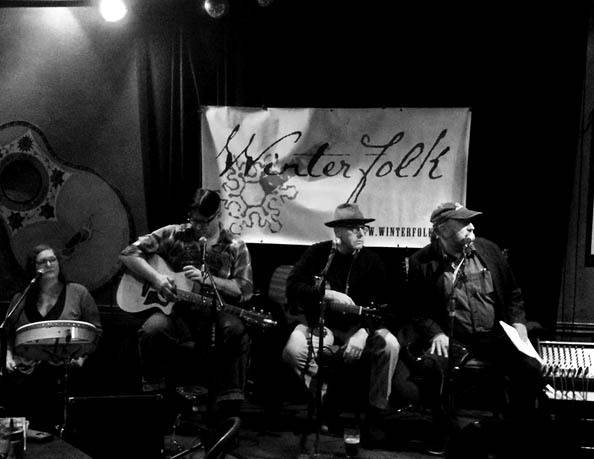 The Series has been a great success, and Glen is excited about being able to take Nashville Bound to the Winterfolk Stage. The Nashville Bound Songwriter Series had been able to showcase over 200 Canadian singer-songwriters. Nashville Bound has conducted many fundraisers for worthy causes, including musicians suffering from Cancer. Nashville Bound has inspired other songwriter to strive for excellence in songwriting.